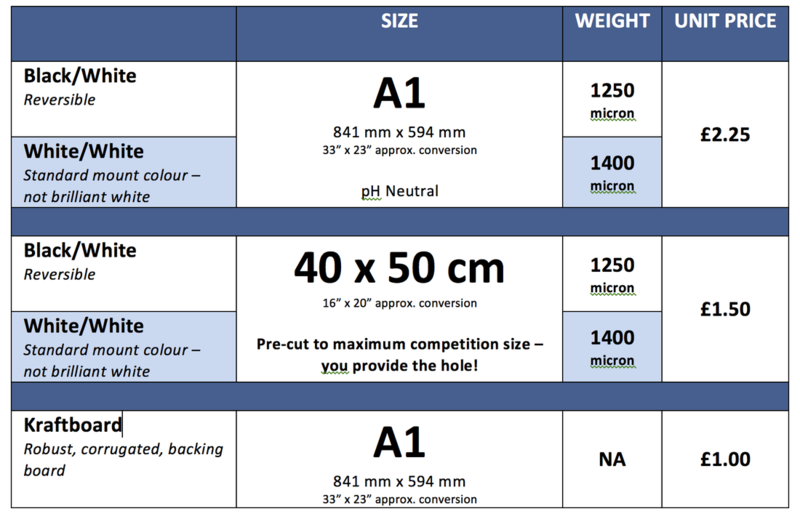 Pre-cut sheets are sized to the maximum allowable for competitions and LRPS panels - you only need to cut the aperture.....less chance to mess up! Would you be interested in different colours - there are lots available? Please jot a note to indicate your interest.